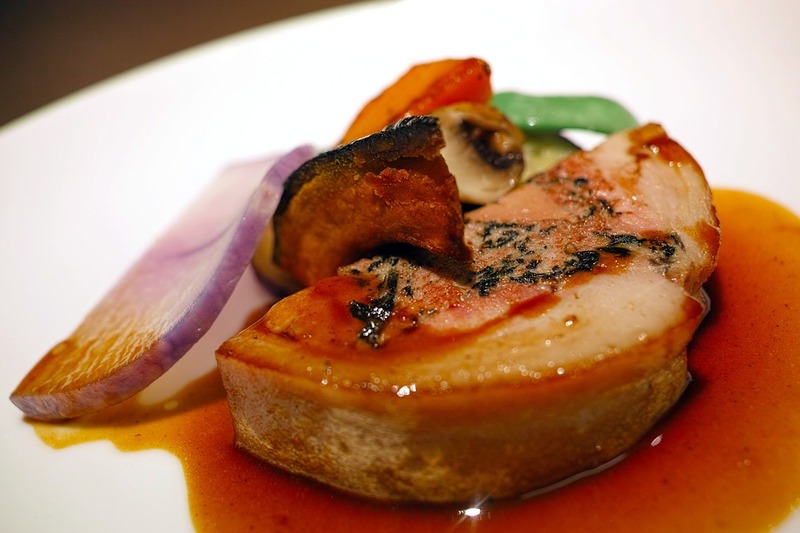 If you want to make a recipe that includes pork belly and foie gras then the following recipe will the ideal thing to make to impress and feed your loved ones as well. This recipe is perfect for the seasons of summer and spring and is perfect for dinner as this is a meat dish. For the pork belly’s foie gras you will need to get foie gras, kosher salt, sugar, pepper and some brandy. Foie gras price might be a bit too pricey but then you really need it to bring out the texture and flavor of the dish. For the egg cream you can use some egg yolk and heavy cream. The apricot puree, which is dried, will need dried apricots, some fresh orange juice and a pinch of citric acid powder and brioche. To make the brown butter, dried milk power and butter is all you need. The ingredients that you are need for the pork belly sauce is kosher salt, granulated salt, water and aromatics based on the taste. Aromatics such as sumac can be used in this dish. You can best buy sumac online now as well. You will need to put together the ingredients mentioned above and then bring it to boil. Before you use the brine you will need to chill it down. You will need to press on the crosshatch pattern across the fat cap for every quarter inch. The pork belly should be put into the brine allowed to brine in for twelve hours straight. Afterwards, remove the brine water and wash the pork belly. Wrap the belly in cling film. You will need to cook the belly for 14 hours in a Cvap. Once cooked, the meat should be pressed and left overnight in the fridge. Remove the fat and then baste every set period. You will first have to separate the lobe and veins form the foie gras, which should be transferred to the mixing bowl. Add the kosher salt, white pepper and sugar and mix it all together. You can add the brandy and mix it again which should be vacuum packaged so that it can be cured overnight. Poach the package for about ten minutes and then leave it to chill. You need to pass the foie gras through a strainer. You will have to reconstitute the apricots in boiling hot water and leave them aside afterwards so that it can be pureed. Add some flavors by adding orange juice and then get the texture of the puree right by adding the required amount of water. Add the citric acid powder for more flavor. The frozen bioroche’s crust should be removed and then slice to the shape you want. You need to place it on parchment paper and bake it until it is golden brown in colour. Once you make the brown butter, you can plate the pieces and garnish with some baby lettuce and watercress.